It’s cold, your skin is dry from the heating and you feel the work stress after the holidays. Time for some YOU-time. Luckily, Amsterdam has a wide variety in Spa’s where you can pamper yourself. 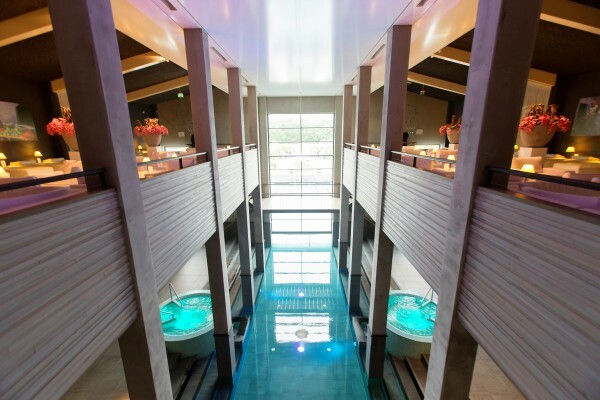 These are by far the best spa’s in Amsterdam. 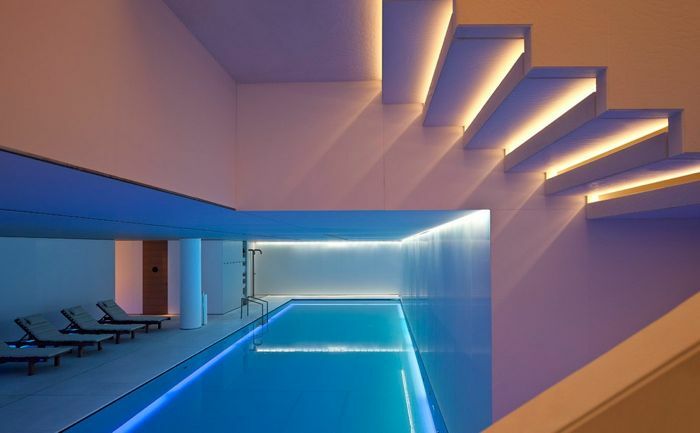 This one is considered as one of the best spa’s in Amsterdam. located in the middle of the museum district inside the Conservatorium Hotel. Complete with a swimming pool, sauna and amazing treatments, this is a place where you walk out as a new you. I enjoyed an aromatherapy massage for 75 minutes and it was heaven. Prices are what you expect of a top notch hotel like this but let’s be real, everybody deserves a treatment like this once in a while! 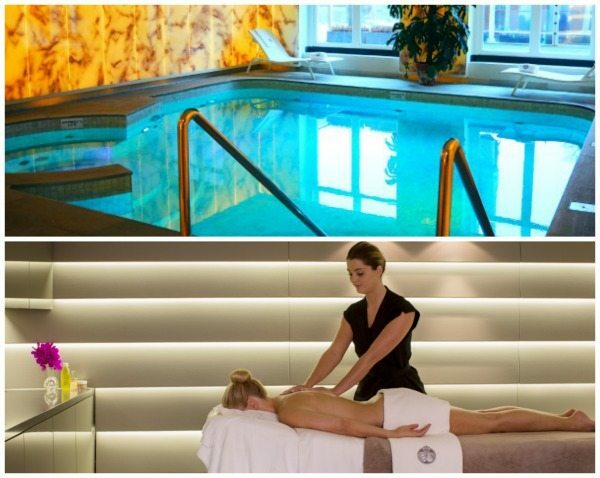 This amazing Spa is located at the 5 star Hotel De L’Europe in the heart of Amsterdam. They used to have 2 locations, but they’ve now put everything under one roof. They do body, face, waxing, beauty and even hair treatments. I tried and tested one of their signature facial treatments and wow…heaven! Seriously, I should do this more often! You can even create your own exclusive oil base by getting your skin analyzed. A full day at the spa will cost you 30 euro’s and you can use the swimming pool (pictured), sauna’s, steam room and relax area where you can read. They serve lunch from the hotel and during spring and summer, you can enjoy the patio outside overlooking the Amstel. 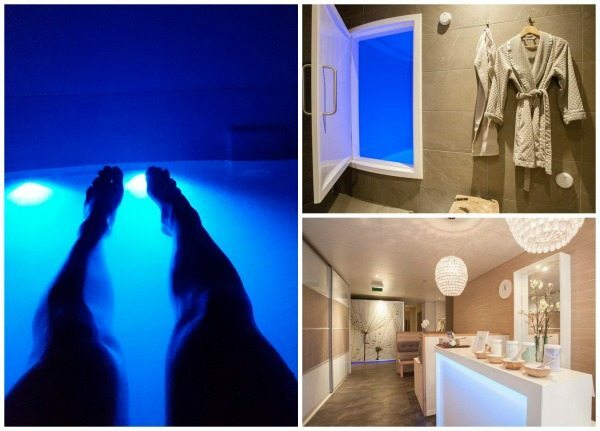 This Sauna and wellness Spa has been settled in Amsterdam for 30 years already! The art decor is what you call, somewhat special. 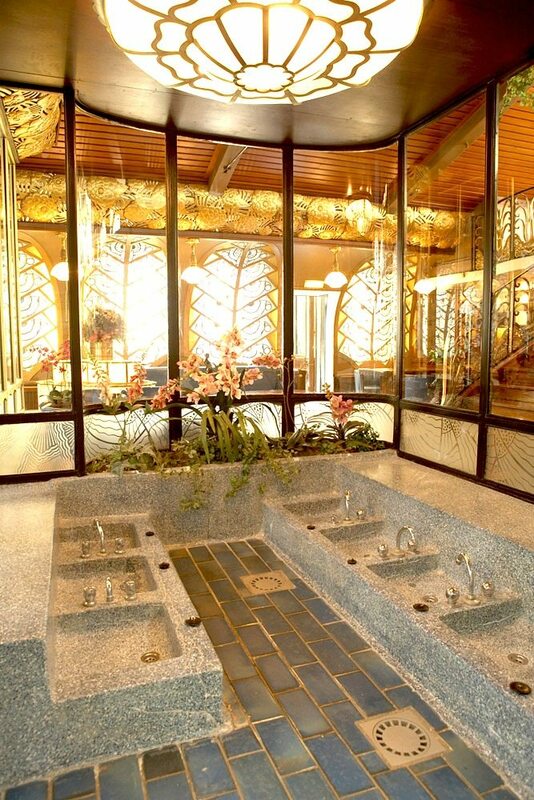 Sauna Deco is a household name in Amsterdam and many of our friends love going here. Their massages are reasonably priced and the sauna wellness area is available from 19 euro’s per person. It’s where you will find mothers & daughters, couples, friends and business people. Spa Zuiver is for everyone. Sarah loves this place and returns here a couple of times a year. 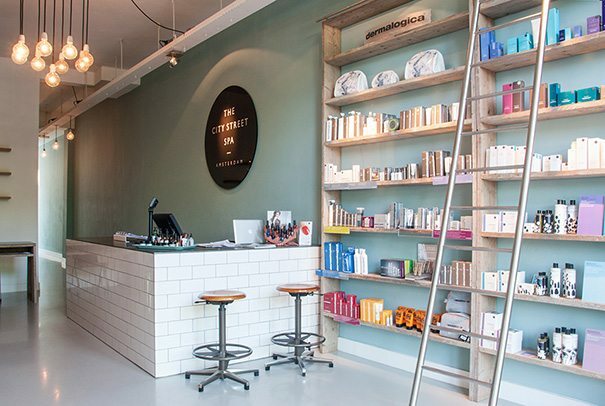 Lucky for us, this Spa has 2 locations in Amsterdam! One flagship and one smaller which is called “Le Petit Spa”. From facials, pedicures, killer eyebrow and body treatments to Acupuncture and reflexology, you can find it all in one place. This popular spa also offers special face, hand and feet treatments for men so if you ever want to surprise your boyfriend, this is the place! This spa is not huge but smaller and cozy than the above mentioned. This makes your spa experience more personal and customers keep returning. The interior is light and bright with a small boutique where you can buy ceramics and Jewelry from the like of Mimi et Toi. 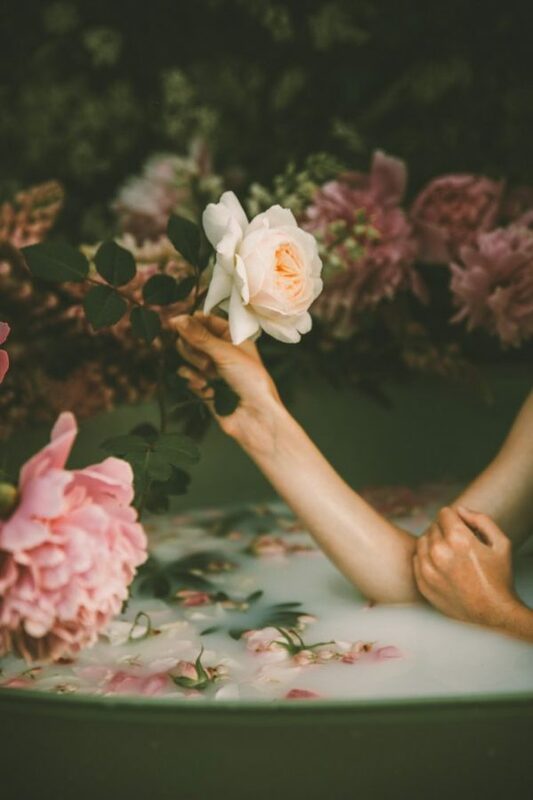 Floating is one of the most relaxing things you can experience. It’s weightless, silent and you and your mind is all there is. A little difficult for some of us as doing “nothing” is somewhat out of the ordinary when you have a busy schedule like us but nevertheless, very needed. This spa also offers massages, a hamam (scrub),spa capsules, beauty treatments and sauna. Me floating at the float center Amsterdam. Most hotspots are in the city centre of Amsterdam, at least that’s what most people think. I live outside the centre so I know better. 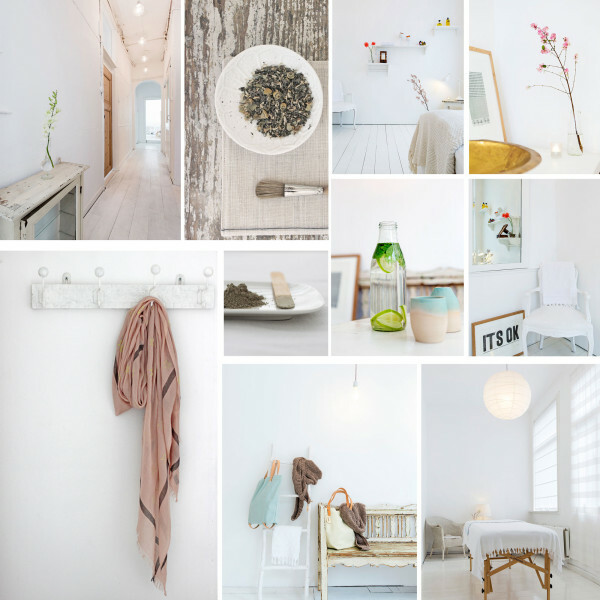 Spa 1001 is located in Amsterdam New West in Osdorp and close to the upcoming Tuinen van West area. The spa is also popular with Dutch celebrities like actrice Victoria Koblenko, footballer Justin Kluivert, vlogger Sisi Bolatini and other top sporters and well known vloggers. 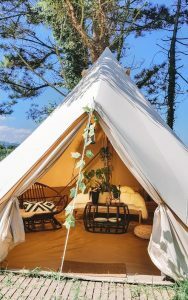 You can either book 2,5 or 5 hours and enjoy your private sauna, steam room with a optic star-ceiling, spacious jacuzzi or unwind in the luxurious (and large) lounge area that includes a fireplace. Even living in Amsterdam – one of the most relaxed cities I know- sometimes is easy to forget to stop and breathe a bit. I always use photography as a getaway to fight that, because makes me focus on whats around me and pause. And I think the ultimate relaxation experience would help me to also pause internally, to focus on myself. Hi Curro! We love your story and your photography! Therefore we would love to offer you the ultimate floating experience! Congrats! I would really LOVE to experience floating because this would be a totally new way to relax for me. Having a busy job means for me to clear my mind by doing sports & yoga. But also to have more ‘me-time’ to relax as much as I can. And try new stuff like floating sounds awesome!